Hello, my name is _____________________ contest! Are you creative and good with naming things? YES! Do you love stuffed animals? YES! Do you have room for new toys? YES! If you said yes to all of the above, like we did, you are definitely going to want to enter this Naming Contest! 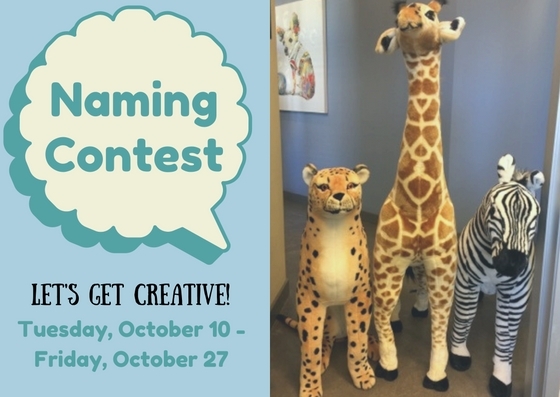 From Tuesday, October 10 until Friday, October 27, you will have the chance to name our 3 new Safari Friends! Please fill out a ballot with your name idea on it and submit it at the front desk. 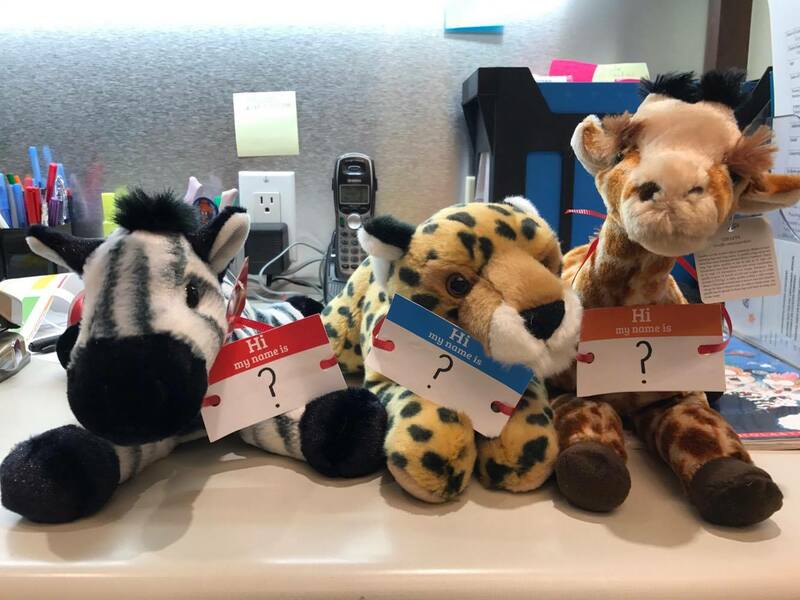 We will pick 3 winners, who will each receive a miniature version of the toy they named: zebra, giraffe, or cheetah.